Editor's note: The first paragraph in an earlier version of this story misstated Daimler's goal. Daimler hopes to become the world's top-selling luxury automaker. 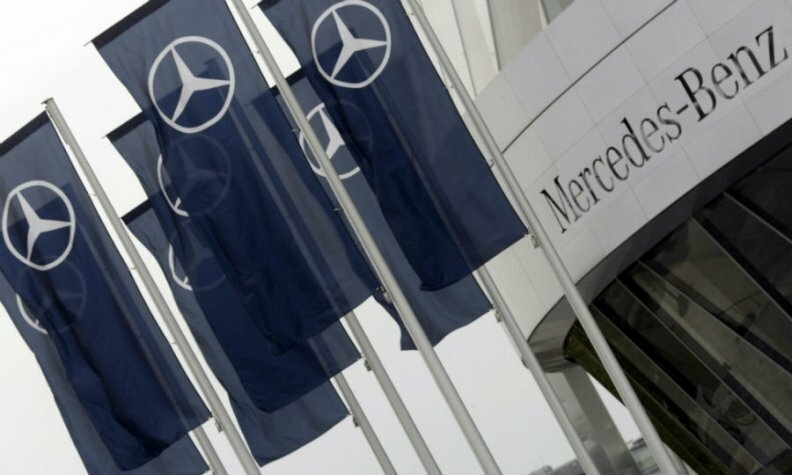 STUTTGART -- Daimler is examining whether to build Mercedes-Benz cars in Russia as it seeks to expand its global production base and overtake German rivals BMW and Audi to become the world's top-selling premium automaker. "We have been looking at the basic parameters and potential of local production of passenger cars in Russia and have held various discussions," Daimler said today in a statement. Daimler said no decision is imminent. The automaker declined to comment on a timeframe to add Russia production. It did not disclose which companies it is talking to. Daimler is seeking to expand production to meet 2020 growth targets and to build more vehicles near the markets where they are purchased. CEO Dieter Zetsche has vowed to regain the top spot in global luxury sales after losing the No. 1 position to BMW in 2005 and ceding second place to Audi in 2011. The Russian market is attractive despite a slowdown in growth because the country has far fewer cars per capita compared with Germany, Europe’s largest auto market. Russia, where 2.78 million cars were sold last year, has 142 million residents, while Germany, with 2013 sales of 2.95 million cars, has a population of 80 million. Last year, Mercedes sold 44,376 cars in Russia, ahead of BMW brand which sold 42,071, according to data from the Moscow-based Association of European Businesses. Audi was the third best-selling premium brand with sales of 36,150 vehicles. Russia's Vedomosti business daily earlier reported that Daimler was holding talks with several potential partners. Daimler currently has two partners in Russia. It owns 11 percent of truckmaker Kamaz and partners with GAZ to produce Mercedes Sprinter vans. Daimler’s expansion plans could come at a sensitive time after sanctions were imposed by the United States and the European Union on Russian individuals over the country's annexation of Crimea. Several German executives have criticized the U.S. and EU strategy, fearing consequences for their businesses. Russia is Germany's 11th biggest commercial partner, with trade reaching 76.5 billion euros ($105 billion) last year.